I will not explain the code since it is quite straightforward and explanations are included inline. You can customize the way you see fit, that should not be to difficult from this point on. # For each server definition you need a server name, a user and a password. # Do not save the password(s) on disk ! # Do not forget to begin with a . #Example execute full powershell file, but this can only be a local file, not on a networkk share. #invoke-command -Computername $ServerName -Credential $Cred -filepath "c:\tmp\Test.ps1"
[kamir8] Connecting to remote server kamir8 failed with the following error message : The client cannot connect to the destination specified in the request. Verify that the service on the destination is running and is accepting requests. 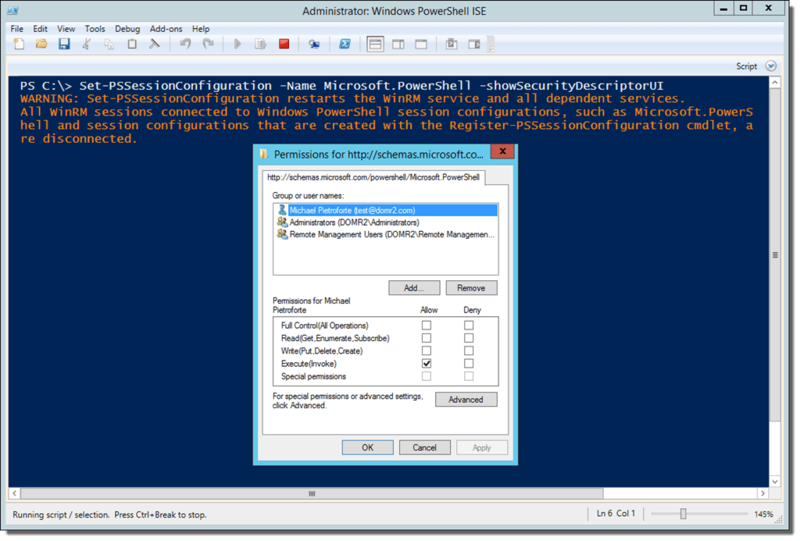 Consult the logs and documentation for the WS-Management service running on the destination, most commonly IIS or WinRM. If the destination is the WinRM service, run the following command on the destination to analyze and configure the WinRM service: “winrm quickconfig”. For more information, see the about_Remote_Troubleshooting Help topic. and change startup type to Automatic (Delayed start), then start the service. This means I have a network which is connected to a public type of network and this is less secure than a private one. In my case I could only see one network from the Network Internet settings in Windows 10. After doing some research, I found out there was another network, hidden, which had a public type of connection. In my case I had two networks, one my normal and one which was installed by the hyper-v functionality in windows 10. 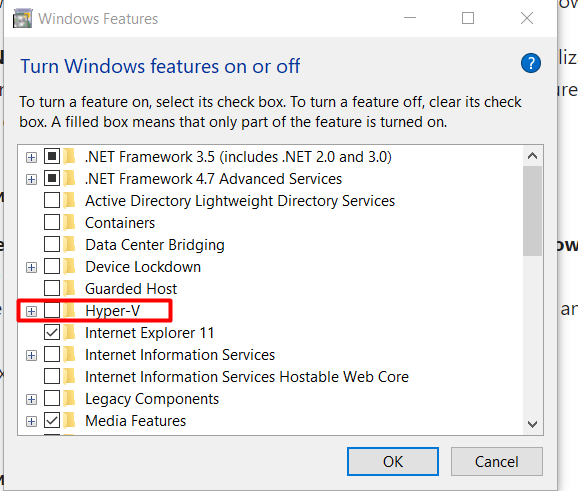 Remove Hyper-V functionality from windows 10 in case you do not need it.